Cocktails and mocktails are very good. I've had the Pina Colada and it was absolutely delicious. 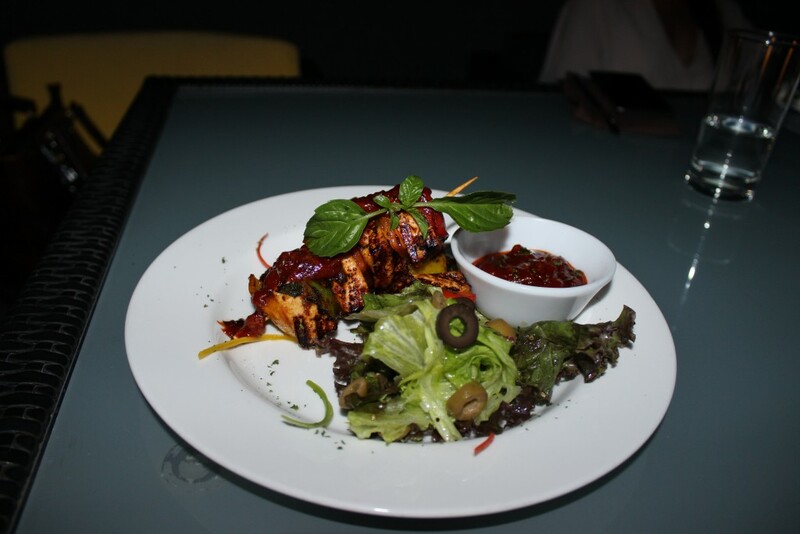 The Greek roast chicken salad consists of delectable pieces of chicken in a lip smacking baked garlic dressing and is really delicious. In vegetarian starters, Crunchy Babycorn , Hara Bhara Kebab and Aloo tikki are very average. I'm not fond of Paneer but I had something called Paneer Cottage Cheese (that's what the server said, I couldn't find it on the menu) which was really tasty. In non vegetarian starters, the Atmosphere 6 fish tikka consists of chunks of tender fish marinated in a very tasty blend of aromatic spices. The Butter Pepper Prawn Tikka is very good too. The prawns are fresh and tender and retain the flavors of butter and pepper perfectly. 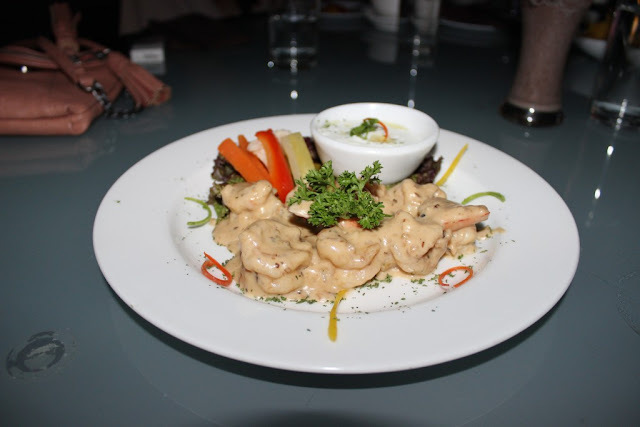 The Lemon Butter Garlic Prawns are nice too. 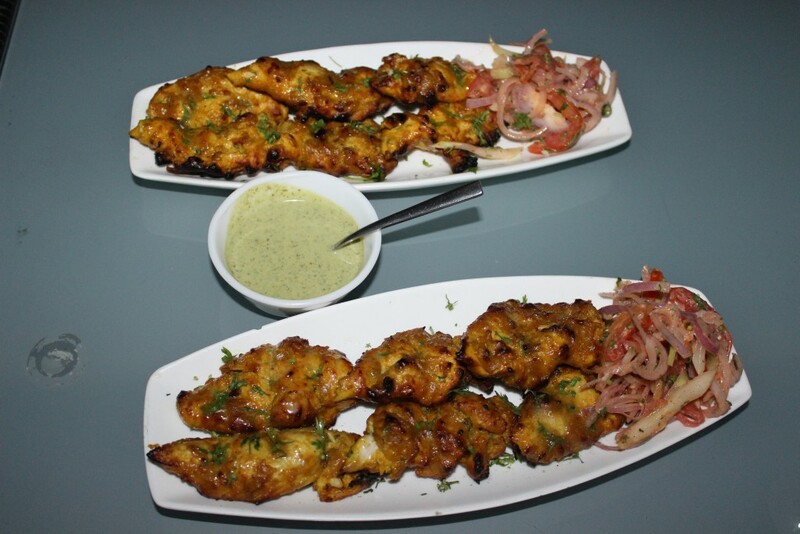 The Murgh Bannu kabab is a preparation which has tender chunks of chicken in a tasty and non spicy marinade. I found the Hakka Chicken and Chicken Jhangari Kabab pretty average. In Greek main course, the Falafel, and Lamb Moussaka are above average but have a lot of scope for improvement. The Chicken Shawarma pita pockets are delicious though. Their Italian fare is amazing. The Prawn Ravioli with Creamy Caper sauce and Pasta Capri are both good, so whether you choose white sauce or red, its a safe bet (wow, that rhymed). The American Choupsey and Thai Red Curry are really delicious too. Their Indian main course disappointed me though. I've had the Chicken Dhania Adrak which was below average. 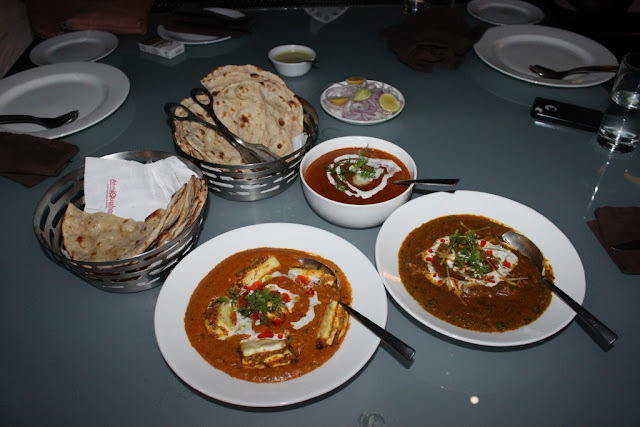 The Dal Makhni too was extremely okay tasting. The Paneer Pasanda was a decent dish but the pieces of paneer were a bit too heavily deep fried to a crunchy texture I did not like. Desserts are quite nice. The Gulab Jamun is amazing and melts in your mouth. The Caramel Custard is very nice too. Not too sweet. I'm not a fan of Apple Pie so I did not like it much. The Chocolate Brownie with Icecream is average as the brownie could be sweeter. The same applies for the chocolate lava cake. So basically, when it comes to the food, I've always loved it besides the one time I ate Indian food there. However, if you don't choose Indian food, I think Atmosphere is a great place for dinner and drinks and I totally recommend it to everyone. You know how much I love your restaurants' reviews and this one seems to be good as well - the ambience, like you said, on a roof (mjst be lovely!) and for me, I would be Ok with the food because I am vegetarian and love cottage cheese, so the Paneer cottage cheese would be for me :) I simply looooove Gulab Jamuns and if these ones melted, I am eager to know the place! Beautiful pictures! the food seem delicious! Sounds like a great place to enjoy an evening out. 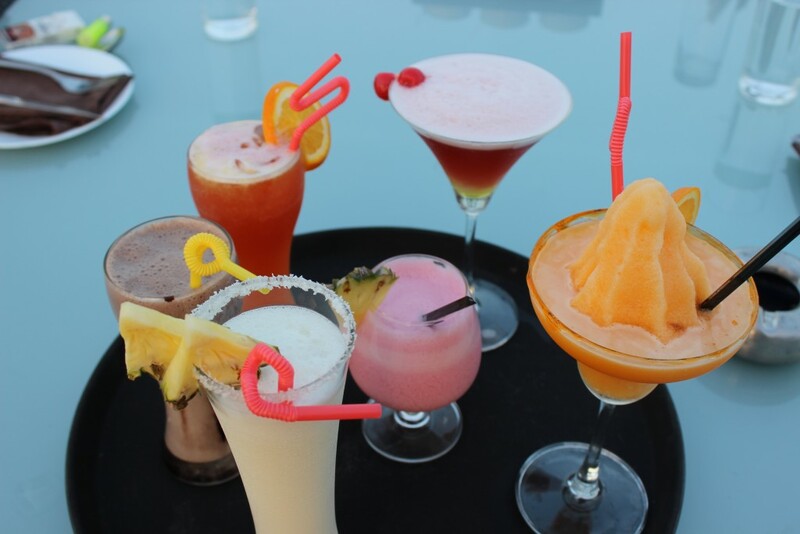 I´d go for the Mocktails straight away. This post is absolutely stunning! June, thanks for letting us know about it.